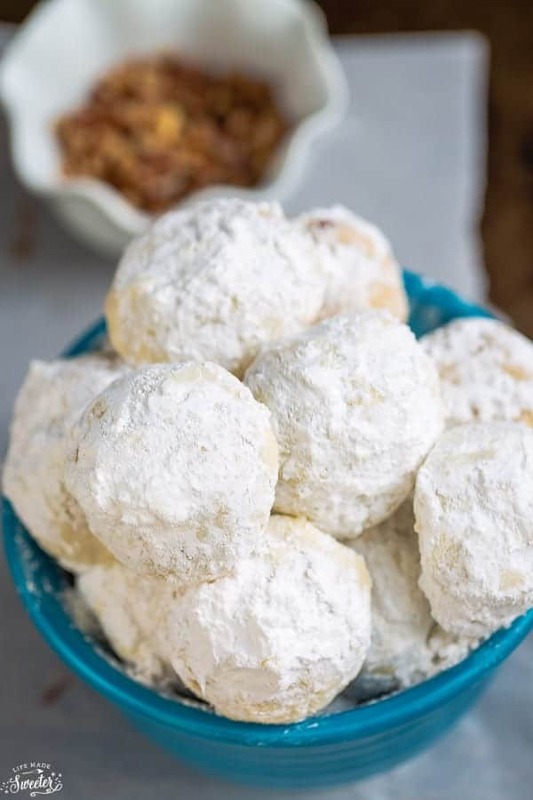 Classic Pecan Snowball Cookies are the perfect classic treat for your holiday cookie platter. Best of all, they’re so easy to make with a buttery, melt in your mouth shortbread base with chopped pecans. Snowballs, Russian Tea Cakes, Mexican Wedding Cookies, Butterballs – the cookies that have so many variations and names. No matter what you call them, they always remind me of Christmas and are a must for any cookie platter. Every year I always have a ton of cookie recipes that I want to make but never seem to have enough time to getting around to baking them. As much as I love trying new and exciting cookies like these No Bake German Chocolate Cake cookies or these Soft Frosted Eggnog Frosted Cookies …classic cookies really are the best! 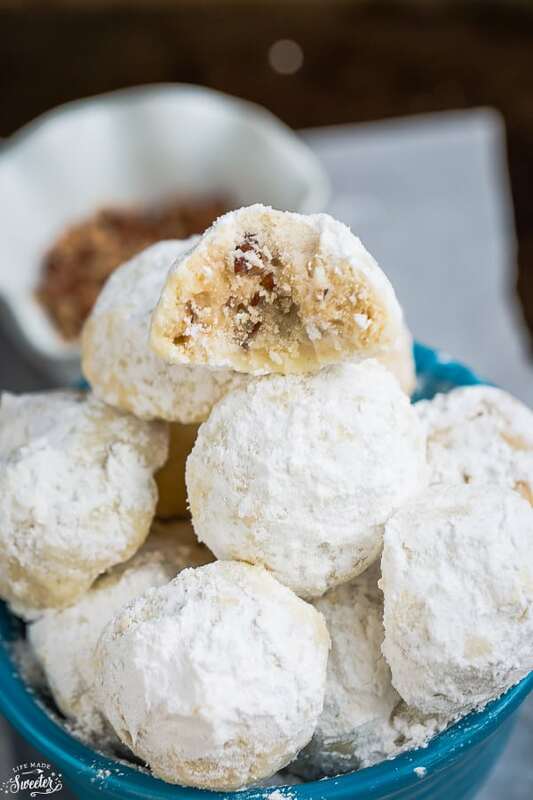 These Classic Pecan Snowball Cookies start off with an easy buttery shortbread like dough. The great thing about these cookies is you can choose to add chopped pecans, walnuts or hazelnuts. I usually like to chill the dough in the fridge for 30 minutes to help them stay nice and round. 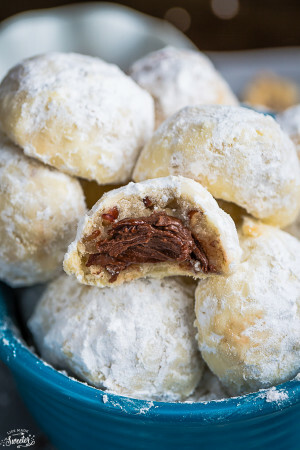 Once they are baked, you roll them in some powdered sugar for the most poppable and addictive cookie. Don’t you think they look like the perfect little snowballs too? They’re simple and they taste amazing! Preheat oven to 350°F. Line a baking sheet with parchment paper or a silicon mat. Set aside. Bake cookies for 14 - 15 minutes until bottoms are just slightly brown - rotating pans halfway through. Be careful not to over-bake. Meanwhile, sift 1/2 cup icing sugar into a medium bowl. 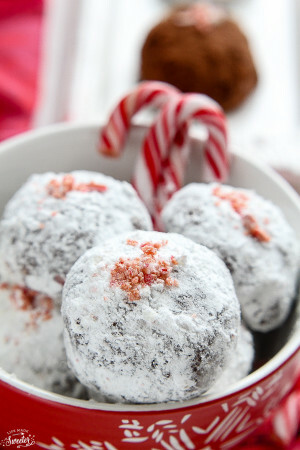 While cookies are still warm, roll them in icing sugar. Place cookies on cooling rack, once they have cooled completely, roll them in icing sugar again.